Dogs are special friends and important members of our family. They give us love and companionship and in turn depend on us for care and sustenance. It is important that you always give your dog the best especially in terms of what to eat. However, finding right dog food for your pooch isn’t exactly an easy task. There are different brands, and various varieties all of them with their unique composition. To assist you with making your choice, here is a review of 8 of the best dog foods on the market. We have also included a comprehensive buyer’s guide that will help you in deciding which on to buy. 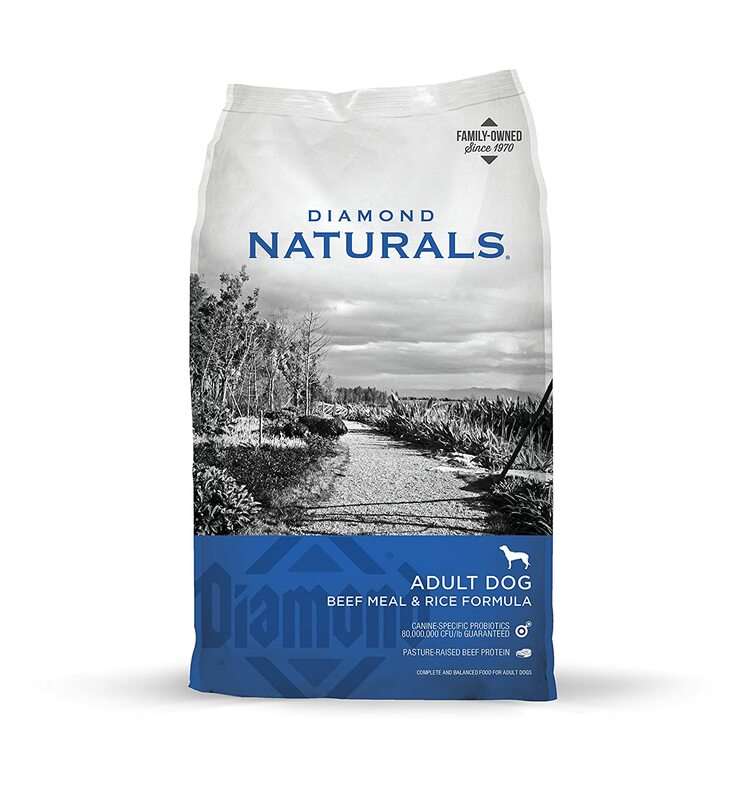 Diamond Naturals Dry dog food is formulated from top quality ingredients that guarantee complete and balanced nutrition for your pet. Its main ingredient is pasture raised beef. Beef is well known as a good source of amino acid needed for growth and for building and strengthen the muscles for a healthier and happier dog. This dog food also contains sufficient levels of Vitamin E and Selenium which serves as a rich source of antioxidants. It also contains fatty acids that help to maintain a shiny coat. Diamond Naturals is highly digestible. It is also free from fillers, corn, and grains and contains no artificial flavors or preservatives. 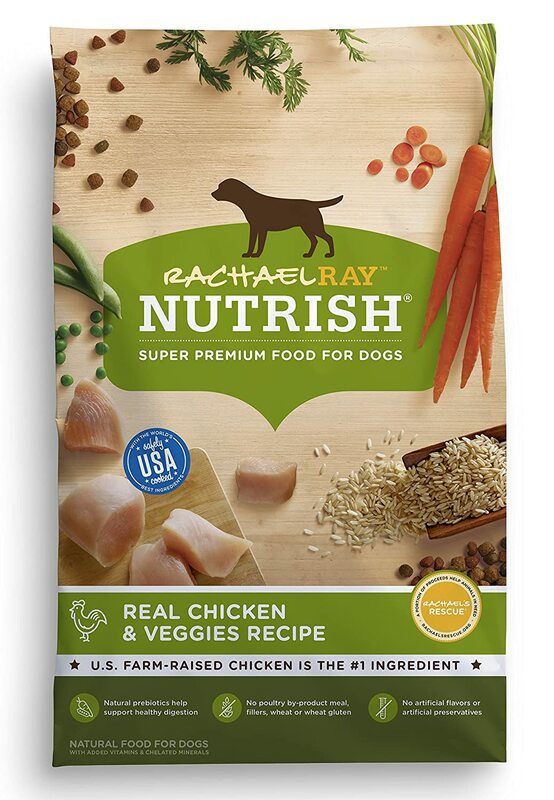 Rachael Ray Nutrish Dog food is made mainly from naturally raised farm chickens combined with adequate amounts of wholesome vegetables with essential vitamins & minerals. Unlike other products made from poultry by-products rather than the real deal, this dry dog food is made from real chicken. It is also free from fillers, wheat, gluten and other ingredients that contribute no positives to your pooches’ health. It is rich in probiotics which makes easy digestion possible. 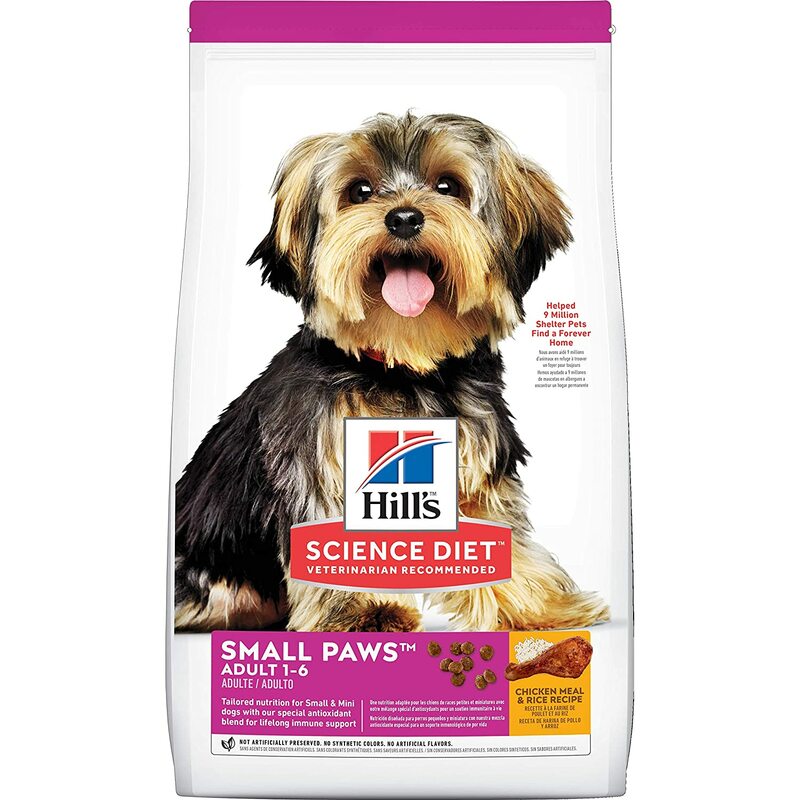 This particular dry food from Hill's Science is specifically designed for small-sized dog breeds. This vet recommended dog food is one of the best dog foods in the market. It contains highly balanced natural ingredients including protein and calcium needed for muscle strength and bone development. Additionally, it is quite rich in antioxidants which boosts and helps to maintain a healthy immune system. With chicken as the main ingredient, this dog food is made for perfect for small dog breeds and delivers the needed nutritional requirements. Also, it comes in kibble sized specifically designed to make it easy for them to swallow. 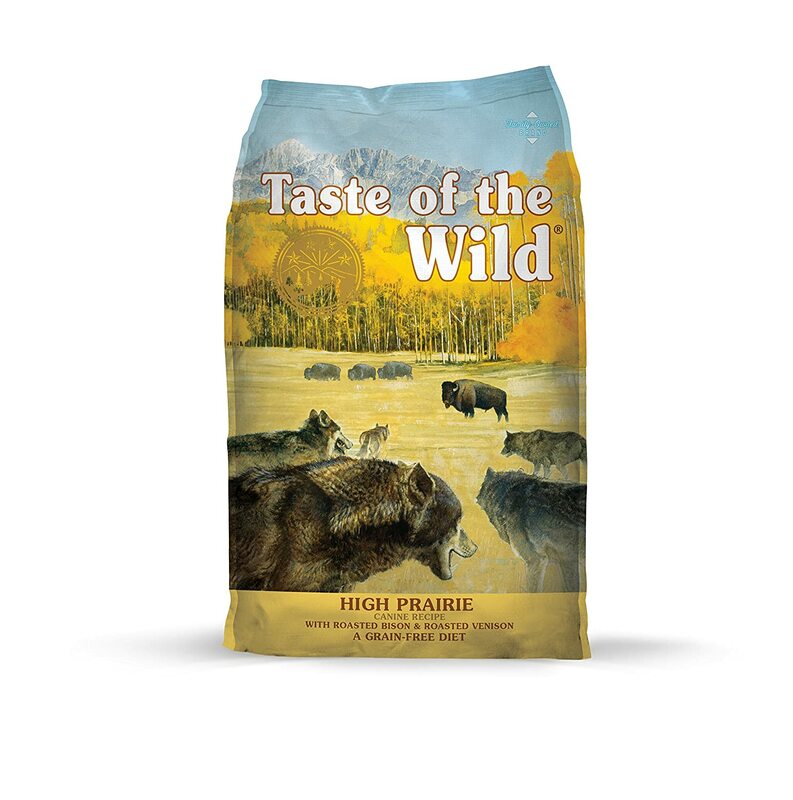 It is also easily digestible and has the taste and flavor your dog will enjoy eating. 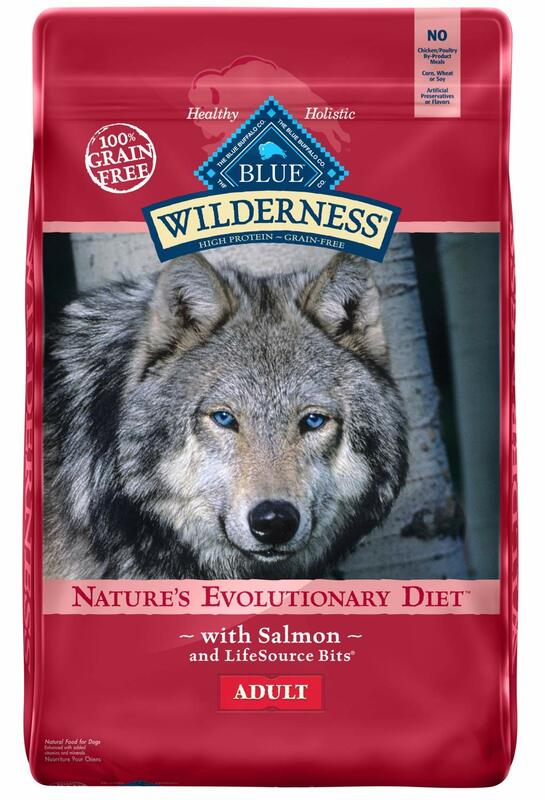 Formulated to give your dog the natural taste of the wild that they have evolved to eat and thrive on, this top quality dry dog food is one of the best available. Real meat is the number one ingredient in this dog food and this particular one is made from roasted bison meat as a source of essential amino acids.in addition to this it contains fruits and veggies for healthy skin and shiny coats. This dog food also has a sufficient dose of fatty acids. It is highly digestible and contains chelated minerals which are known to attach to proteins quickly during digestion making nutrient absorption quite fast. One secret that helps this specially formulated dog food to maintain its potency for a long time is in the way it is prepared. For optimum results, the manufacturers of this product ensure that the processing temperature of the nutrients contained in this food is less than that of the remaining ingredients. This way you can be sure that you are giving your dog quality that can be trusted at all time. This highly nutritious salmon recipe contains deboned salmon and also has fruits and vegetables as an essential part of its composition. This makes it a rich source of carbohydrate, proteins, vitamins, and antioxidants needed to make your dog healthy and a happy pooch all day long. 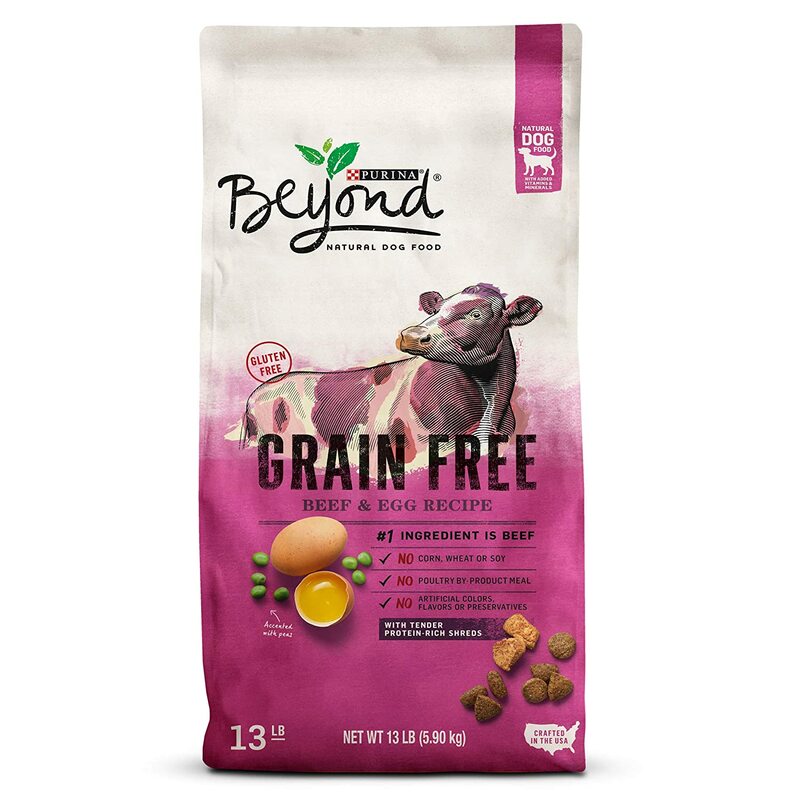 Purina Beyond Grain Free Beef & Egg Recipe is specially formulated for adult dogs. 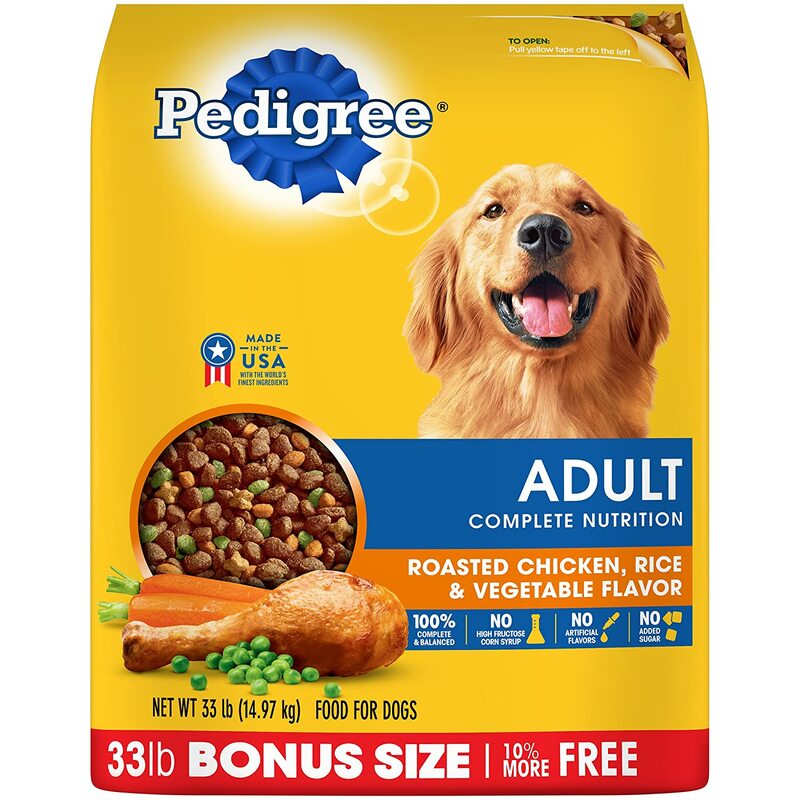 Made with real beef as the primary ingredient ,this dog food also contains other ingredients intentionally added to serve various nutritional purposes. The Purina Beyond Natural recipe is designed for a rich feeding experience for your pooch. It contains crunchy kibbles you dog will enjoy chewing. Additionally, it is has protein-rich shreds that are not only tender and soft but also adds a genuine flavor that your dog will love. Definitely one of the best dog foods in the market for obvious reasons the Purina Beyond formula is free from corn. It also doesn’t contain wheat, or poultry by-products that are known to be imperative health. This top quality dry dog food from Pedigree has been specially formulated to give your dog the nourishment needed to stay healthy and active every single day. This highly nutritious dog food contains the needed vitamins, omega fatty acids in addition to the protein and carbohydrate from the roasted chicken, rice and veggies which are the main ingredients. Pedigree ensures that its healthy formula if free from corn syrup contains no artificial flavors and is also free from preservatives of any sort. You get a rich supply of antioxidants for your dog needed for a strong immune system and healthy coat. 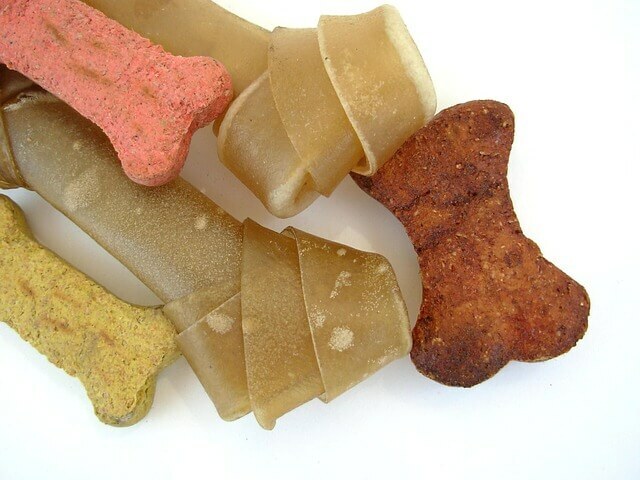 Additionally, the kibbles are made in such a way that they help to keep your dog’s teeth clean and healthy always. 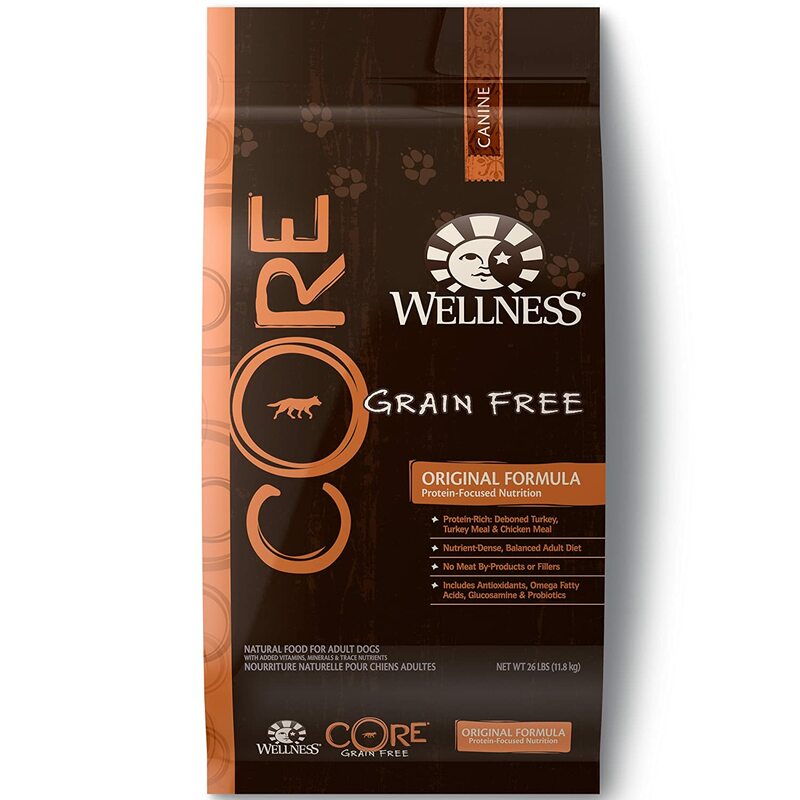 Wellness core Natural dry dog food contains 80% more meat than your regular dog food. This is because it is designed to mimic the raw meat feeding habit that dogs have evolved to love. Not only is it tasty and desirable, but it is also good for them too. It serves as a natural source of all the essential nutrients they need for growth and health. This protein-focused dog diet contains premium ingredients like turkey and chicken derived from natural and healthy sources. This combined with veggies, vitamins, and minerals make all the nutrient your dog needs for daily healthy sustenance. Your dog trusts you to give it the best. You know you can’t afford to let down that trust and give your darling little pooch something inedible or even unsafe. This is why the pressure to find the best dog food on the market is understandable. As far as that goes, there a quite a number of things to consider. They include the following. the best place to start with finding the right food for your dog is to look at the dog itself. It is important that you know your dog if you will ever find something good enough for it. The obvious physical characteristics are important. A senior dog’s nutritional requirement differs from that of a pup. A lactating mother requires more calories than other regular pets. These are a few of the details about your dog you should put into consideration. You should also consider your pet’s behavior too. Your dog’s health is also very important. A dog with an underlying medical condition cannot be made to eat just anything. Knowing your dog well is the starting point for finding the right food. Simple terms in product name such as “Beef for Dogs,”shows that the listed nutrient is what makes up 95% of the dehydrated product and 70% of the total constituent when water has been added. Terms like “dinner” “platter” “formula” etc. implies that the main protein makes up 25 % of the entire dog food. Another word to be on the lookout for is “with.” It means any ingredient that follows it is only 3% of the total component. If the dog food has “flavor” on the pack, it means the protein in question is only in trace amounts; Just sufficient enough for the taste to be detected. Ensure that the meat in your dog food is indeed meat, and does not include animal parts like hair, horns, hooves or teeth. Gain free isn’t always a bad thing: contrary to what most people think, grain isn’t always a problem except your dog has allergies. Ensure that you confirm with your vet before you place your dog on a grain-free diet. At the end of the day it isn’t enough to buy the best dog food on the market. It is quite important that you keep an eye on your dog as you feed it. This way if your dog starts rejecting food or starts showing a negative reaction you will notice and discontinue it. Contact your vet for answers to any questions you might have.